On May 15, Holder told the committee he wasn't involved in "the potential prosecution" of a member of the press under the Espionage Act for disclosing classified information. "This is not something I've ever been involved in, heard of, or would think would be wise policy," he said. Shortly thereafter, reports began to surface that the Justice Department, in addition to seizing telephone and email records of Associated Press reporters, had seized the the emails and phone records of Fox News correspondent James Rosen. While Holder had recused himself from the AP proceedings, the Washington Post reported that the attorney general had personally signed off on the search warrant for Rosen's records. In the search warrant, the FBI called Rosen a "criminal co-conspirator" and suggested there's probable cause that he violated federal law. Rosen was not charged with any crime. House Judiciary Republicans, in their letter, raise the possibility that Holder perjured himself by issuing an ironclad denial of any involvement in the investigation and potential prosecution of reporters. "The media reports and statements issued by the Department regarding the search warrants for Mr. Rosen's emails appear to be at odds with your sworn testimony before the Committee," they wrote. "We believe - and we hope you will agree - it is imperative that the Committee, the Congress and the American people be provided a full and accurate account of your involvement in and approval of these search warrants." 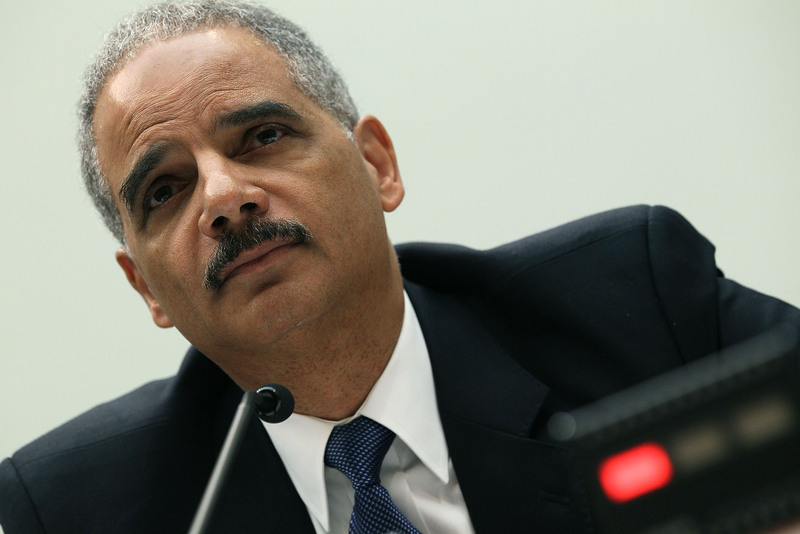 The White House defended Holder on Wednesday, with press secretary Jay Carney saying it was "self-evident" that Holder told the truth. "I think based on what he said, he testified truthfully," Carney said. "The attorney general talked about prosecution," he explained, while the case in question was completed with no further charges or prosecution slated. Asked Tuesday if he regrets signing off on the warrant, Holder told reporters: "I'm not satisfied (with the Justice Department's guidelines involving the news media in criminal investigations)." The leak investigation sprang from Rosen's report in 2009 that North Korea would respond to sanctions with more nuclear tests. That information was classified when Rosen reported it, leading to an FBI investigation to uncover Rosen's source that quickly shifted focus to scrutinize Rosen himself. Agents monitored Rosen's movements in and out of the State Department. They searched his personal emails and combed through his cell phone records, an unprecedented level of government surveillance of a journalist. Last week, President Obama, who's come under bipartisan criticism for the digging into journalists' records, said he directed Holder to conduct a review of Justice Department's guidelines for probes that involve journalists and said Holder would meet with media groups as part of that review. Those meetings will begin on Thursday, with Holder scheduled to meet the Washington bureau chiefs of several major media organizations to chart a path forward for leak investigations that balances law enforcement and national security concerns with a respect for press freedom. An official close to Holder told CBS News the meetings would be "forward looking," and will not include a discussion of the facts surrounding the AP subpoena and the Rosen search warrant. On Tuesday, Holder voiced optimism about the likelihood that the meetings will result in a truce of sorts between the Justice Department and the press, which has savaged Holder's department and the rest of the Obama administration for what they see as an overzealous prosecution of security leaks.